MOUNT GILEAD — With proms and graduations approaching, parents need to be reminded of their liability when hosting a party. Toward that end, the Drug & Alcohol Awareness Prevention of Morrow County coalition received encouragement last Thursday. Lieutenant Gurjit S. Grewal, Mount Gilead Post Commander, Ohio State Highway Patrol, has been working to get schools and parents involved through Parents Who Host Lose The Most. The program educates parents about the health and safety risks of providing alcohol to teenagers and increases awareness of and compliance with underage drinking laws. One billboard will go up on State Route 95 near Morrow County Hospital in late March, with another one possibly in Marengo. This is part of raising community awareness. “With proms coming this is important. It’s a really good program,” said Ben McDay, DAAP chairman. DAAP’s other committees continue to work on projects. • Hidden In Plain Sight. Steve Denovchek reports that all four county school districts have watched the program. HIPS gives parents insight into finding harmful behaviors in their children’s rooms, backpacks and vehicles. Resource packets are available for parents. • Youth Sector. Jack Kegley has led the program and is looking to add more partners. “We want to build leadership qualities in kids. The goal is for kids to be the faces of prevention,” Kegley said. • An Opiate Engagement Team has been formed in Morrow County. More information will be released in coming weeks. 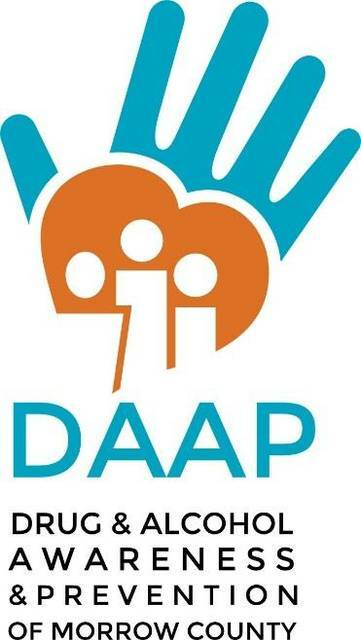 “It’s about helping people in crisis and connecting them to treatment,” said DAAP coalition member Deanna Brant. • DAAP meets again at noon Thursday, March 15 at First Presbyterian Church in Mount Gilead.